Experience the infinite possibilities for play. ​A child’s imagination is limitless—their playground should be too. 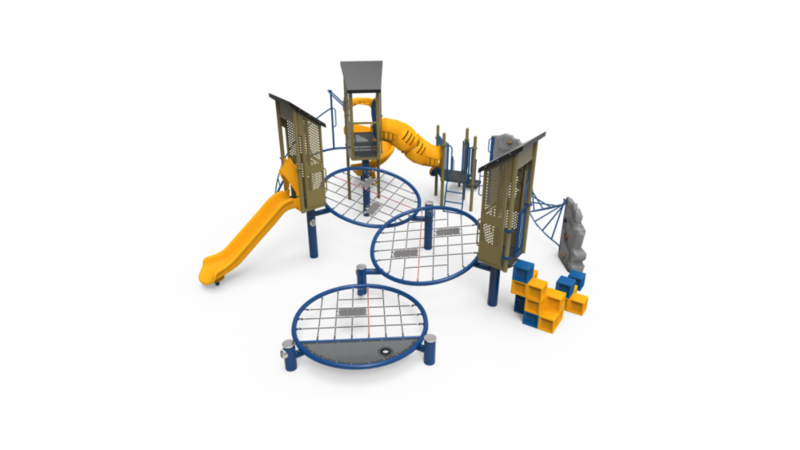 infiNET is a hybrid “netform” solution with dynamic climbing challenges and barrier-free platform nets. It welcomes kids of all ages and abilities to explore and conquer new territories together. 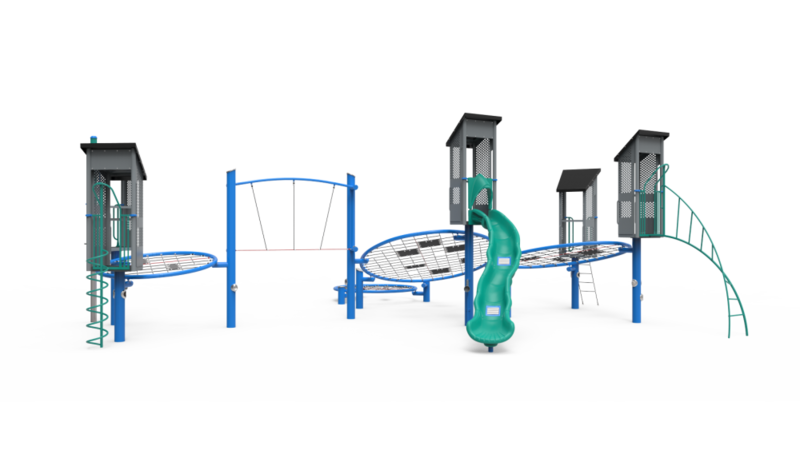 Contact Big T Recreation to learn how to get an infiNET at your city park or elementary school. With all the fun and excitement of post-and-platform, infiNET offers even more play value by using expansive, dynamic nets as the platform. Kids can traverse or relax on top of the nets, weave through and hang from them, or play underneath. This is perfect for an elementary school playground because it provides open lines of sight from all angles. These boundless nets allow kids to approach infiNET from all angles, maximizing child capacity. ​The structure also offers endless possibilities for configuration. Choose from small, medium or large nets and arrange them to fit or enhance the natural features of your space. 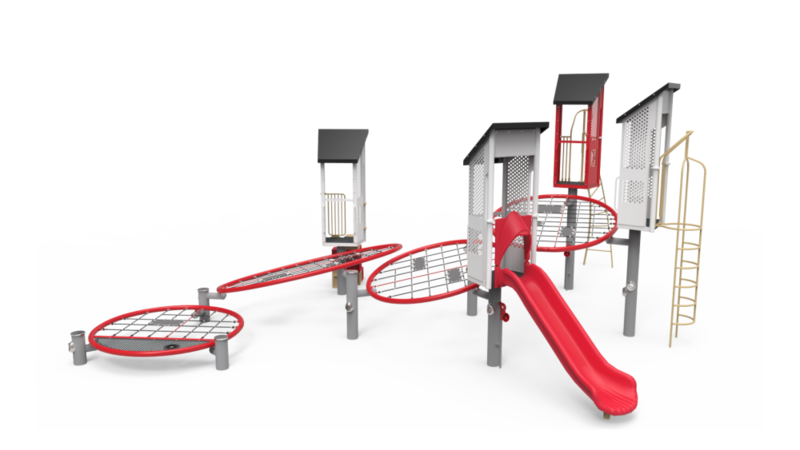 You can even personalize destination portals with your favorite, traditional play components such as slides, climbers, and more. Why limit kids with boundaries dictating how and where to play? Embrace the unstructured play and spark creativity with infiNET.